From the Cambrai inner ring road take the D942, Solesmes road, for approximately 1 kilometre. 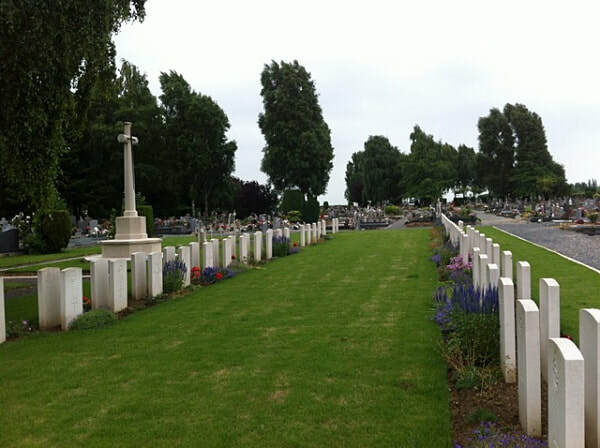 The Communal Cemetery is on the right hand side of the road. During the 1914-1918 War Cambrai, in enemy hands, was deemed the key position on the German front line. On November 20th, 1917, the first day of the battle of Cambrai, it was the scene of a spectacular British success when tanks went into action for the first time. A penetration was made of 8 kilometres on a 9.6 kilometre from, the hitherto invulnerable Hindenburg line was breached, and Cambrai itself was left virtually defenceless. 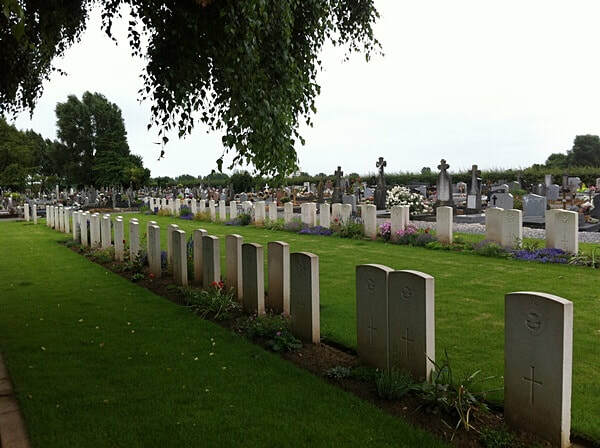 The Communal Cemetery is west of, the Cambrai East Military Cemetery, a large, mainly German burial ground of the 1914-1918 War.